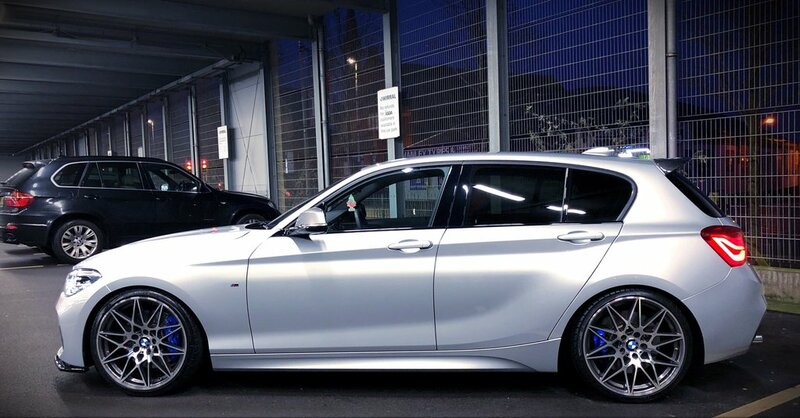 The H&R Lowering Spring kit especially designed for the F20/F21 M135i & M140i is a set of sport suspension springs that can be used in conjunction with factory OE dampers and other types of after market shocks. You will sense the sporty road performance of your vehicle when changing direction and when pulling through curves at high speeds and still maintains the comfort of your ride. Based on motorsport developments and a myriad of test series in H&R’s own test development centre, H&R Lowering Spring kits are designed in accordance to the latest insights of driving dynamics. The Lowering Spring kit features a balanced relationship between sport looks, more safety and added performance while offering increased driving pleasure at the same time. Ideal if you want to lower your car and still retain a good level of driving comfort. Fitting cost is £380 including alignment, all work will be carried out by BMW trained technicians. A second visit after 1-2 weeks is required for the alignment to be carried out once the spring has settled. A 2-4 weeks notice is required to book your car in.